This pretty princess costume features a lilac satiny ball gown adorned with a glittery purple stripe across the slip, white beading embellishments, puffy shoulders, and a cameo on the front of the dress The dress bodice has iridescent ribbon detailing and an attached Sofia character cameo on the neckline. This special glittery necklace is not included with the dress. This is an officially licensed Disney (TM) Costume. Sofia the First Toddler/ Girls CostumeIncludes:Every little girl who’s seen Disney TV show Sofia The First wants to be just like her, so here’s your chance to make that dream come true!Sofia The First Toddler/ Girls Costume features a dress that’s sure to dazzle all who see itIncludes Dress with Puffy Sleeves and Skirt .Excludes: Shoes are not included.Includes one lilac dress with puffy sleeves and puffy skirt with character cameo. These Sophia the First costumes look great! These costumes feature a purple dress with white accents and designs. These dresses will have your loved ones feeling like a real princess! let their imagination flourish with excitement when they step into one of these beautiful princess dresses. These costumes look great on their own but would be even better along with many of our other costumes and accessories available in our store! Let Disney Junior's Sofia the First Princess Sofia 10.5” doll be your little one’s very first princess pal. Sofia is wearing her special Maid of Honor dress from the show! Sofia’s dress is filled with fun sparkling accents and comes with her pink amulet necklace, sparkly new tiara, and removable princess shoes. Sofia’s beautiful thick hair is perfect for brushing and styling! The poseable doll promotes imaginative play, allowing your little princess to recreate special moments with Sofia in Enchancia! Disney Junior's Sofia the first Princess Sofia 10.5" doll will be your little ones very first Princess pal. She looks just like she does in the show with her iconic blue ballgown including glittery accents and trims.Included are her separate red amulet necklace, sparkly tiara, and removable Princess shoes.Features a new royal fashion, the crystal dress, with shimmering glitter detail.Sofia has beautiful thick hair perfect for brushing and styling. "From the script "Two Princesses and a Baby" by Laurie Israel, Rachel Ruderman, and Craig Gerber." Sofia is a little girl with a commoner's background until her mom marries the King and suddenly she is royalty! When you want to combine that mix of common sense and noble class, this costume is just right for you! Pick up our Girls Sofia The First Classic Costume today!With a beautiful purple dress and a character cameo, that's about all you need to have a complete look! So pick up our Girls Sofia The First Classic Costume and take a look at our wide array of Disney inspired costume accessories to fully complete the look! 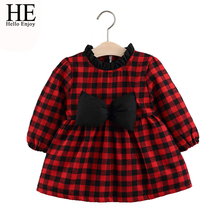 Available in Sizes: 2T, 3T-4T and SmallItem Includes: Dress and Character CameoPictured items not included: ShoesMaterial: PolyesterCare Instructions: Hand Wash Cold. Do Not Bleach. Line Dry. Cool Iron If Needed. Do Not Dry Clean. This Sofia the First toddler girls' underwear, 7 packs are the perfect underwear for your young girl. They are made of 100% cotton so they are light and comfortable. Your little angel will love these!